Are the stickers being used indoor or outdoor? Where will the stickers be adhered to? For eg on a window? on a vehicle? Do I need my stickers on pre cut sheets, on a roll or individually cut? Does the sticker need to be treated or printed on material that is tolerant to moisture? For eg wine bottle stickers. Do I plan to reuse the stickers. For eg permanent sticker vs easy removable. Do I require a laminate for added protection? Print stickers on a precut label sheet with split backs for easy application. These are generally printed digitally for small volumes. Print stickers and supply them on a roll. This method is usually printed offset for larger volumes. Offset stickers will generally have a better quality finish. Print and trim stickers to a custom shape or size. These stickers will generally be supplied in bundles trimmed in their finished size. Print stickers that are tolerant to moisture, for eg wine labels. The material used is a special type of vinyl that is designed to withstand moisture. 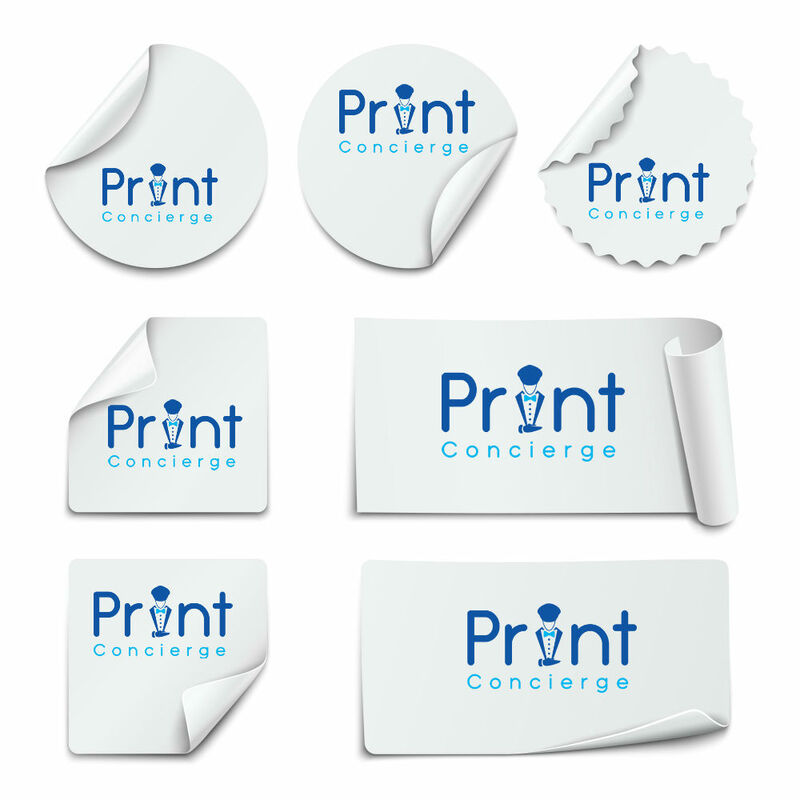 Print Concierge can also print stickers for outdoor use, such as window stickers on a clear adhesive vinyl and also car bumper stickers. These special type of stickers are printed using UV stable inks and are also UV laminate for added protection. Therefore, they can easily be applied to your car, boat, caravan or even the window of a shop. They are long lasting and won’t leave any adhesive residue when removed.